In French with English subtitles. This is a VHS transfer. This bit of elegant esoterica was Max Ophuls' only directorial effort for 1937. Japanese matinee idol Sessue Hayakawa made a long-overdue return to films as Yaamo, a humble Chinese coolie in love with the beautiful and aristocratic Kohana (Michiko Tanaka). 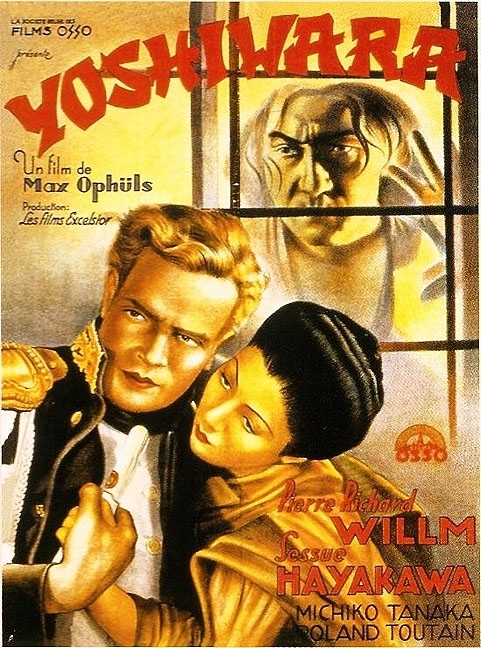 Following her father's suicide, Kohana is reduced to working as a Geisha girl, and it is in this capacity that she meets Russian naval officer Serge Polinoff (Pierre-Richard Willm), who marries the girl and takes her back to his homeland. Now regarding Kohana as a traitor, Yaamo swears vengeance on both the girl and her Russian husband. The Japanese government issued a formal complaint about the content of Yoshiwara, but French moviegoers were not yet conditioned to take such things seriously, and the film was a hit.